Javi Gracia has enjoyed a fine season with Watford, but how has he done it? Watford are in the FA Cup final and targeting seventh too, but how have they done it? Adam Bate examines their extraordinary season. Have Watford ever had it this good? Graham Taylor took the Hornets to second spot in their first ever season in the top flight, but he didn't reach the FA Cup final until the following year when they finished eleventh. Javi Gracia is targeting the second-best league finish in the club's history and has Watford one game away from a first major trophy - in the same season. 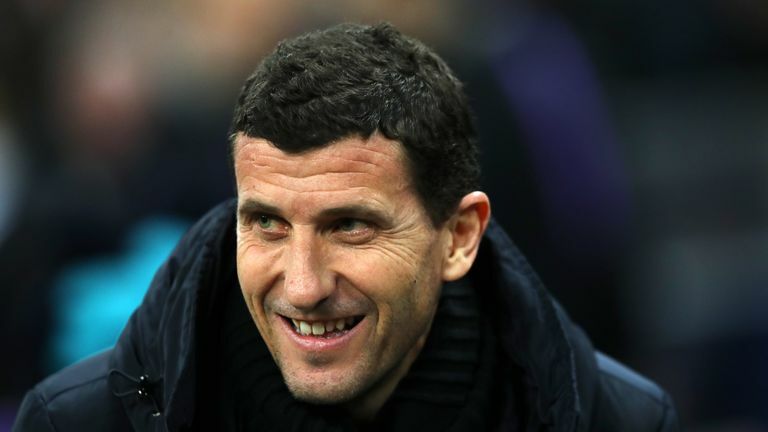 In some respects, it's the result of a long building process after three years of mid-table Premier League finishes, but there was no great certainty that Javi Gracia would be the one to take Watford to the next level. An unassuming character, it would have been no great surprise to the wider public had he departed in the summer amid little fanfare. Instead, having brought some stability in the second half of last season, he used pre-season to begin to forge a new identity at Watford. For the first time in a long time, they have continuity as well as success. Gracia named the same starting line-up for the first half a dozen games, and there is real belief now that he is building something to last at Vicarage Road. Gracia's narrow 4-4-2 system, with the wide midfielders drifting inside, has become the team's calling card. Talismanic forward Troy Deeney continues to be the reference point in attack, while Abdoulaye Doucoure and Etienne Capoue provide the platform in the middle of the pitch. Roberto Pereyra and Gerard Deulofeu bring added sparkle. Everywhere, there are heroes. Ben Foster has been in brilliant form in the Watford goal. He has made plenty of saves, but that hasn't been his key attribute. It's the sight of a goalkeeper being so forthright in his movement that stands out. He has come off his line to see off danger 27 times this season - 50 per cent more than anyone else in the Premier League. It's significant because Watford need Foster to play this way. It allows them to operate with a high defensive line and thus stay compact and squeeze the game. "We're concentrating on being very close together," said Doucoure earlier this season, and it is his partnership with Capoue that provides the control. The opposition have no space in which to work. With Watford, more of the action - 31 per cent of it - comes in the middle third of the pitch than any other team in the Premier League. The statistics also show that they win the ball high up the pitch through their pressing. By condensing the play and pressuring their opponents, they have become one of the toughest teams in the league to play football against. "He is very big on pressing and pushing higher up the pitch, and that suits us because we've got the players to do it," explained Foster. "But the main thing is work-rate. There's a lot of high-intensity running, closing down and closing the space. We're quite aggressive as well." What elevates Watford's approach is that they have real quality too. Pereyra lit up the early part of the campaign, scoring five times before the end of October. 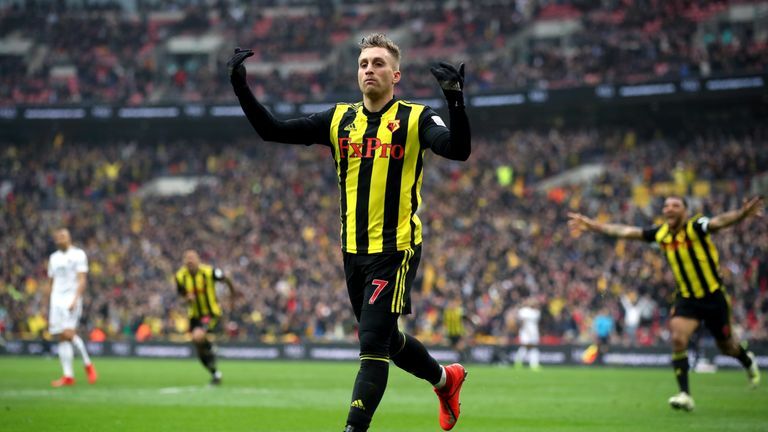 More recently, Deulofeu has emerged as the player most likely to make something happen - as he did after coming off the bench to spark Watford's stunning comeback against Wolves at Wembley. Gracia has found a system which can maintain the structure while encouraging this sort of expression, and he deserves huge credit for that. It is pragmatism with a twist. He has brought discipline, instituting a strict system of fines in training, and a formidable work ethic. "He won't let anyone take their foot of the pedal," said Adrian Mariappa. But Gracia has achieved that without being an overtly demonstrative character. His humility is evident. "The manager is a really good guy," added Foster. "The lads have bought into his ideas, and he puts it across really well. He's calm, not a ranter and raver, and the players appreciate that." Clearly this is a squad that's accustomed to managerial change. Gracia is already the club's longest serving manager since Gianfranco Zola. As a result, perhaps he is the ideal fit, because an experienced and outspoken group would be unlikely to respond to someone coming in and looking to rip things up. Instead, Gracia has coaxed that bit extra out of them. Where will it take them? Winning the FA Cup would be the perfect way to cap off the season, but will clearly be a huge challenge up against Manchester City. The good news for Watford is that having secured their place in the final, they now know that a seventh place finish will be enough to earn them a place in Europe next season one way or the other. That looks much more achievable after the three teams immediately above Watford in the table all lost to bottom-half opposition over the weekend. Arsenal are the visitors to Vicarage Road to Monday Night Football, and a repeat of last season's win over the Gunners would move Gracia's men above all of them back into that seventh spot. Earning a first foray into Europe since a run to the third round of the UEFA Cup back in 1983 would be a fitting conclusion to their campaign because it would offer tangible proof of something that everyone at the club is sensing right now. Watford have not had it this good since those days under Taylor. And nobody wants the fun to stop.